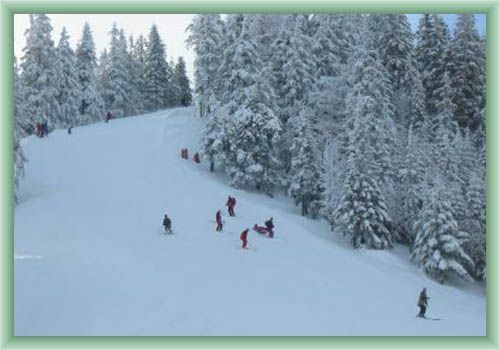 Certovica is an excellent recreation area in the turistic most important saddle of Low Tatras´s main ridge. It is becouse of good conditions for summer and winter sports . Certovica is a good starting point for cross-country-skiing trips and it´s ideal place for down-hill skiing and snowboarding. The Certovica sport area contains 5 ski-tows with capacity 3200 skiers per hour. Mechanical trimed snow and maintained routes for cross-country-skiing are a matter-of-course here. During the summer well described tourist paths may lead us along the main ridge to both sides, the Dumbier´s and Kralovoholska´s part of the Low Tatras mountains.